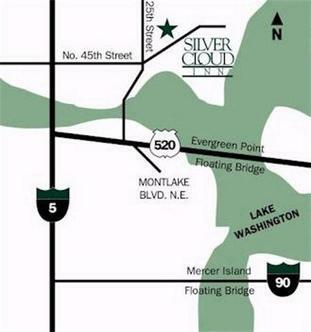 The Silver Cloud Inn Univesity is a friendly and inviting hotel adjacent to the University of Washington. Surrounded by many fine restaurants and next door to the unique shopping experience provided by University Village. Hotel is a smoke free facility.